What in the World Happened to the Maya? 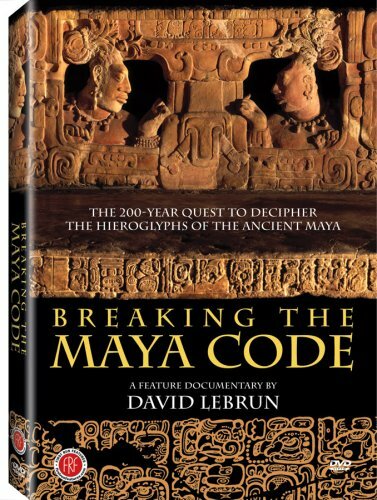 Historians of ancient civilizations have many mysteries to solve and the disappearance of the Maya is one of them. Like the cliff dwellers of the four corners area in the United States, the Maya left evidence of a well-rounded and intelligent civilization and disappeared without leaving evidence of the cause or where they went. If we only had a time machine to take us back to the last days of these civilizations, many questions could be answered. Alas, we must make do with our investigative powers to discover what we can about these proud peoples from so long ago. Evidence of the Mayan (used interchangeably with Maya) civilization reveals they settled in three zones which encompassed current day Southern Mexico and the northern region of Credit: Source: Wikimedia CommonsCentral America which includes present-day countries of Guatemala, Belize, western Honduras and northern regions of El Salvador. Does that mean these people were natives of those areas? Not so fast. This is where the debate begins. Scholars differ as to when and where the Maya civilization actually originated. From 2010 most have accepted the date of 1800 BC as the first established Mayan settlements. However, the Mayan calendar is based on the Mesoamerican Long Count calendar which begins on a date equivalent to August 11, 3114 BC. (Looking at the various calendars—yes there are several, the Mesoamerican Long Credit: Source: Wikimedia CommonsCount (also called the Mayan) calendar, the Proleptic Georgian and Georgian calendar and the Proleptic Julian and Julian calendar—it is little wonder there is so much confusion as to actual dates of, well anything really. Proleptic refers to dates prior to the adoption of the actual calendar). The 1800 BC era is referred to as the preclassic period and is when communities became more sedentary and started making pottery and firing clay figurines. Scholars also disagree about the boundaries of the territories of the Maya and other civilizations in the regions. In the overlapping territories of the Maya and other civilizations such as the Olmec, the Mixe-Zoque, and the Zapotec which were cultures residing in the southern lowlands of Mexico in the states of Tabasco, Chiapas and Oaxaca respectively, many of the buildings and inscriptions found suggest influences by the cultures on one another. Yet, in the Takalik Abaj (Pacific slopes of Guatemala) the Olmec clearly succeeded the Maya as evidenced by the inscriptions and buildings found there. The Preclassic Collapse occurred around 100 AD when Mayan cities were abandoned and there Credit: Photo by Simon Burchell/CCA-by-SA 3.0, Source: Wikimedia Commons was a decline in new Mayan communities. The Classic Period is considered the years around 250-900 AD. This is the period that brought the culture to its peak with outstanding architecture and art which were found centuries later in archeological digs and discovered ruins. During the Classic Period, the Maya developed their agriculture around large cities and established states with some subservient to others. The population exploded into the millions and the people created kingdoms and small empires, built temples and other religious monuments and palaces, and developed a highly complex hieroglyphic writing structure. The territories inhabited were rich in jade, obsidian, and cocao (in English, cocoa. The cocao beans are dried and fully fermented and the cocoa solids and cocoa butter are extracted from which we get chocolate). The ancient civilization traded these three resources as well as others such as salt and seashells with their trading partners from other Mesoamerican cultures as well as the indigenous peoples of the Caribbean. The most recognized example of the architecture of the Mayan are the stepped pyramids. At one time it was thought the temples and pyramids were rebuilt every 52 y Credit: photo by Dennis Jarvis from Halifax, Canada/CCA-by-SA 2.0, Source: Wikimedia Commonsears in accordance with their calendar; however most believe the rebuilding was often implemented by a new ruler for political reasons. Some pyramids show building over hundreds of years; for example the North Acropolis at Tikal appears to have additions added for about 1,500 years. Some pyramid sites show a complex with twin pyramids or in some cases even more (nine in Tikal). During the Classic period, the cities grew by using limed causeways (“white roads”) which connected great plazas to platforms that created the sub-structure for the majority of the buildings. As more structures were added, the city sprawled in a somewhat random-appearing manner, adhering to the topography of the area; yet, keeping directional requirements of some buildings such as temples. At the center of the city were large plazas surrounded by the palaces, temples and other important government and religious buildings. Outside the core of the city, the common people built modest and less permanent dwellings. In the late Post-Classic period, the cities built more fortress-like structures with fewer plazas. Most of the structures were built from natural resources, most commonly limestone. Credit: Source: MorguefileMuch of the sophistication of the artwork from the Classic period is evident on the ruins of the structures. Great murals of an array of subjects have been discovered on the structures, as well as cravings and paintings on various styles of molded ceramics found in graves. Only three books remain, all from the Post-Classic period. It was discovered the Maya artists were part of one of the few civilizations who credited their works with signatures. The writing system of the Maya is often called hieroglyphs because it so resembles the Ancient Egyptian writing; however, it was a combination of phonetic symbols and logograms and is more often classified as a logosyllabic writing system with syllabic signs playing a significant role. It is the only writing system of the Pre-Columbian Americas which is known to represent the spoken language of its society. Though the script has over a thousand glyphs, a few are variations of the same sign or meaning and many of them were rarely used or used in one particular region. It is found about 500 glyphs were used at any one time with about 200 of them having a phonetic or syllabic interpretation. The earliest writings are dated to 200-300 BC; however according to a 2006 National Geographic finding, the writings could be dated all the way back to 400 BC. If that is the case, the writing system is almost as old as the Zaptec writing system which is the oldest system of Mesoamerican known at that time. The Mayan system developed into a more complex and complete system over the next centuries and no comparable system in the Americas has been discovered to date. 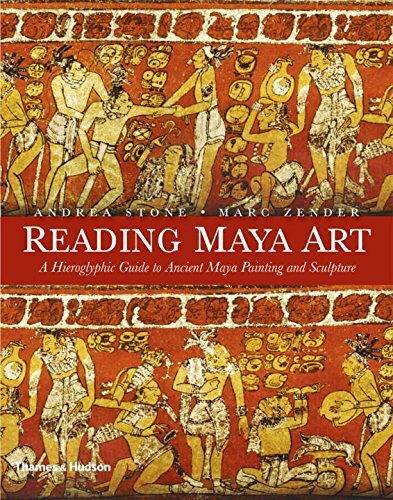 Once the Spanish conquered the Mayans, the writing (reading and writing it) were lost. An estimated over 10,000 individual pieces of text have been discovered to date. Most are inscribed on the monuments, ceramic pottery, lintels,(type of architectural component often found over portals, doors, windows, and fireplaces) and stelae (stone or wooden slab, generally taller than it is wide, erected for funerals or commemorative purposes). The Maya did use paper made from tree-bark and commonly bound as a single continuous sheet, folded into pages to produce a codex that enabled writing on both sides of the sheet. After the Spanish conquest, the Spanish priests ordered any found codex to be burnt. There are only a few known to have survived. According to t Credit: Source: Wikimedia Commonsheir religion, the underworld was accessed through caves and deep tunnels and was dominated by the gods of death and putrefaction. The sky was dominated by Kinich Ahau (the Sun god) and an aged god called Itzamna. The night sky was a window to all of the supernatural activity and an intersection to all possible worlds. At the center of the Mayan belief was the life-cycle of maize; the maize god was the central religious figure. The ideal of the body is based on the form of the maize god. The Maya did practice human sacrifice, though not as frequently as other ancient cultures such as the Aztec. In some rituals, people had their arms and legs bound while a priest cut out their hearts for an offering. These rituals were described in the codices found in archeological digs. Between the eighth and ninth century, the Maya in the southern lowlands began to decline and suddenly abandoned their cities a short time later. At the same time, no further construction on a large-scale occurred and neither did further inscriptions on monuments make appearances. This is considered the Classic Collapse of the lowlands of Mesoamerica. When the Mayans built monuments they often dated the buildings. Evidence shows during the Credit: Source: Morguefileearly 500s, about ten monuments were being built annually. This amount increased to about twenty per year by 672 AD and to forty annually by circa 750 AD. After 750 AD, the number of the monuments with dates reduces quite quickly. By 800 AD there are only ten and one hundred years later in 900 AD there are no longer any new dated monuments being built. Further evidence of the collapse of the empire is the recorded data of the lists of kings. Altar Q is one of the most notable of the altars (rectangular sculpted stone blocks) discovered at the Mesoamerican archeological site of Copan (present-day Honduras). Copan was one of the major cities of the Credit: Photo by Simon Burchell/CCA-by-SA 3.0, Source: Wikimedia CommonsMaya and the Altar Q records the lineage of the dynasties of the Copan-based governments in the script of the Maya. Altar Q depicts each of the sixteen leaders of Coapn starting with 426 AD ruler, Yax K'uk' Mo', and ending with the ruler of 763 AD, Yax Pasaj Chan Yoaat. Like Copan, all the kingdoms of that society fell around the same time. 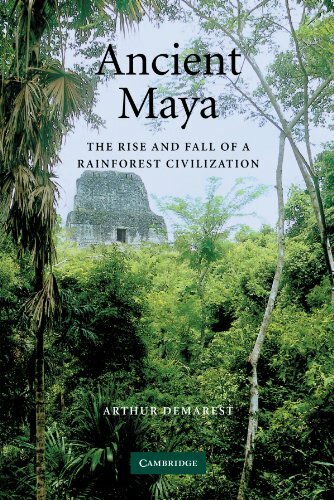 Yet another piece of evidence of the decline of the empire was gathered by David Webster, Ann Corinne Freter and Nancy Gonlin, who later wrote a book titled Copan: The Rise and Fall of an Ancient Maya Kingdom. (This is somewhat technical; reading more like a text book. 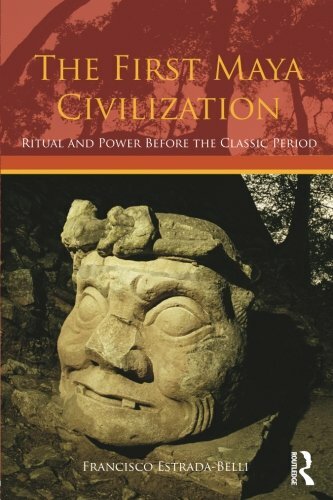 It summarizes the workings of the Copan city-state and reports on the material foundation of the ancient society.) Using a technique called obsidian hydration, they were able to map the spread and growth of settlements in the Copan Valley and estimate the population of the communities. According to their research, between the years 400 and 450 AD the estimated population was around 600 people. Between 750 and 800 AD it had risen to 28,000 and then began to steadily decline. By the year 1200 AD the population was less than 1000 in Copan. The northern regions of the ancient civilization did not collapse as had the central and southern lowlands. Neither did the southern highlands. One would conclude the central and southern lowland peoples simply transitioned into those communities, but there is no evidence this was the case. The Postclassic period (10th century to early 16th century) saw the northern centers continue to develop albeit with increased influence from outside sources. Credit: Source: MorguefileAs other ruling city-states declined, the city-state of Mayapan ruled the entire Yucatan until 1450. Mayapan is a Pre-Columbian site in Mexico and ws the political and cultural capital of the Maya in the Yucatan Peninsula from the 1220s to the 1440s. Approximately 15,000-17,000 people were estimated to have lived there and archeologists have uncovered more than 4000 structures within the city walls and additional structures outside them. After a revolt in 1450, the area was sectioned into several city-states until the Spanish conquered the Yucatan. In Guatemala around Lake Peton Itza, (considered the southern highlands) another group who survived the collapse ruled over much of the area with their capital located at Tayasal (also called Noh Peten). At least 27 sites have been discovered around the lake in addition to the remains of Tayasal. The modern city of Florence is located on an island near the southern shore of the lake. Tayasal was the last capital to be conquered by the Spanish in Mesoamercia in 1697. The old saying “everyone has an opinion” comes into clear play at this point. About 88 different theories have circulated as to what caused the disappearance of the southern lowlands Mayan societies. Theories range from lack of resources due to overpopulation, to foreign invasion. Let’s examine a few of the more prominent theories. Foreign invasion: The most recent hypothesis is the southern lowlands were invade by peoples from the gulf coast lowlands, starting around the 9th century which set a chain reaction of events that destroyed the Classic Maya. This theory has a base belief the invasion by the Toltec people in central Mexico influenced this invasion of the southern lowlands. The theory is dismissed by most Mayanists as they claim there is no military defeat which explains the complete Classic Collapse process. Any significant interaction between the two peoples occurred well before the Classic Collapse. Anthropologist and researcher, Dr. Michael Peissel theorizes the conquest of the Yucatan by the Chichen Itza during the 9th century led to the trade routes (of mostly cocoa) being rerouted from the inland to a coastal sea route. This theory was validated by several scholars and explains why the collapse was restricted to a specific region rather than the entire peoples of all of the regions. Social turmoil: Renowned Mesoamerican archeologist, J. Eric Thompson (1898-1975; he was one of the foremost mid-20th century anthropological scholars due to his contributions to the understanding of the Maya hieroglyphs) supported the theory the collapse was caused by revolution by the lower social classes. This theory states the peasants were the labor behind the building of the massive structures and the seemingly endless construction (because even existing buildings, pyramids and monuments were added to, remodeled or destroyed and rebuilt) placed a heavy burden on the workers. The harder life became, the more the peasants’ religious development and collective enterprise suffered. The theory suggests the workers abandoned their values and revolted against the elite of their societies. Credit: Source: MorguefileWhile this might explain the evidence of unfinished buildings and ceremonial centers; and the various times of the collapse of the different communities; the theory does have problems. Foremost, the theory doesn’t explain where the people went. A decrease in one area would show an increase in another and there is no evidence of this. Anthropologist, Elliot Abrams, conducted a study and concluded the buildings, specifically in Copan, didn’t need a vast amount of workers or time to complete the structures. Epidemic diseases: The theory holds the southern lowland Maya were infected with diseases which spread through the communities and consequently annihilated the population. Support for this theory comes with knowledge of the possible parasites which could have invaded the people, especially at an early age. Some of the parasites cause diarrheal illnesses and those victims at an early age, would most likely have weakened immune systems for future diseases as well as hampered growth and development. Drought: Supporters of the one of the more current theories, the drought theory, believe it “holds water” because it explains many other elements such as cultural and non-environmental factors of the collapse. Anthropologist, Richardson Gill conducted extensive research into the climatic patterns and effects on the area and determined a prolonged series of droughts is “most likely what caused the Classic Maya Collapse.” Supporters of this theory cite climatic changes have been discovered to be the main cause of the rise and fall of different civilizations across the globe. Each theory has its supporters and its critics, with each side making good arguments for their views. However, the mystery continues. To date, there is no fully accepted theory to explain the reason the central and southern lowland Maya simply disappeared. For those who wondered, yes there is the theory the Maya had direct contact with aliens and it is therefore, not a far reach to theorize the aliens are responsible for the disappearance of the great ancient Mayan civilization. The copyright of the article is What in the World Happened to the Maya? owned by Cheryl Weldon and permission to republish in print or online must be granted by the author in writing. Well done article: As a history buff I especial liked It detailed content.2 thumbs from me ad a big rating. Thanks for the kind words and the read. Like the Anasazi, civilizations that simply disappear intrigue me.